Soft Washing is a technique that utilizes an mix of detergents and cleaners used in combination with a low pressure rinse. This technique allows ASAP Power Washing the ability to clean more delicate surfaces without risking damage to the exterior of the building. Soft Washing works very well on Stucco, Dryvit, Sandstone, lime stone and many other natural building exteriors. 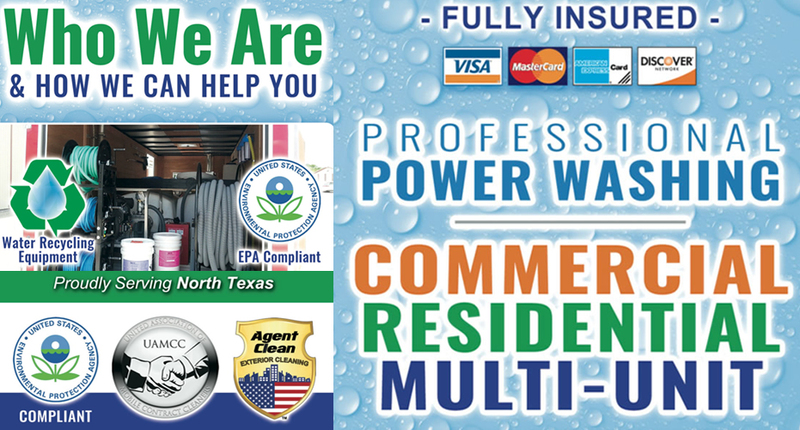 Additionally with the Soft Washing process we not only remove the unsightly buildup from the surface, we also kill off the roots of the mold, mildew and fungus that may be growing on the surface of a building. The ability to kill off contaminants rather than just removing them will result in the surface of your building staying cleaner for a longer period of time following our service. 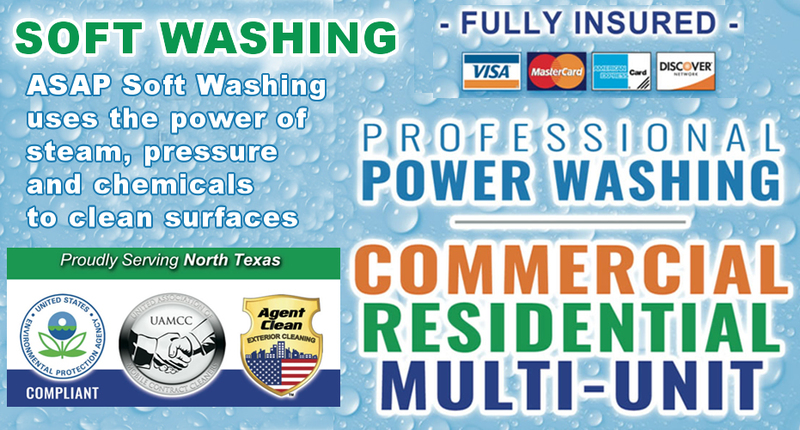 Asap Power Washing offers Soft Washing services in Grand Prairie, Fort Worth, Burleson, Mansfield and surrounding areas.